All Bello Verde garments have reinforced stitching under the collar of jacket. Our Master Tailors add six layers of stitching to help keep the shape of the collar while preventing it from rolling. 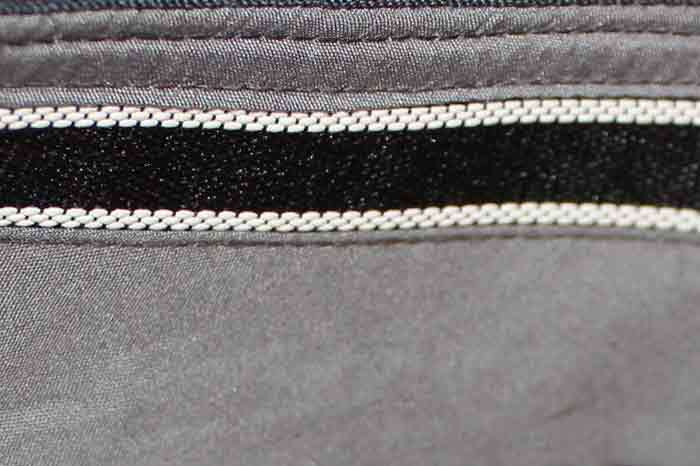 Reinforced jacket collar stitching provides an elegant styled look for one of the most important parts of your jacket. Bello Verde also offers custom colored felt and thread that can accompany the underside of your collar. Hand-picked stitching refers to the small stitching that runs along the lapel, edge of a jacket, around the pocket flaps, and on the other seams on your jackets and pants. This is a classic feature of a custom made jacket and a solid indication of handwork on a garment. 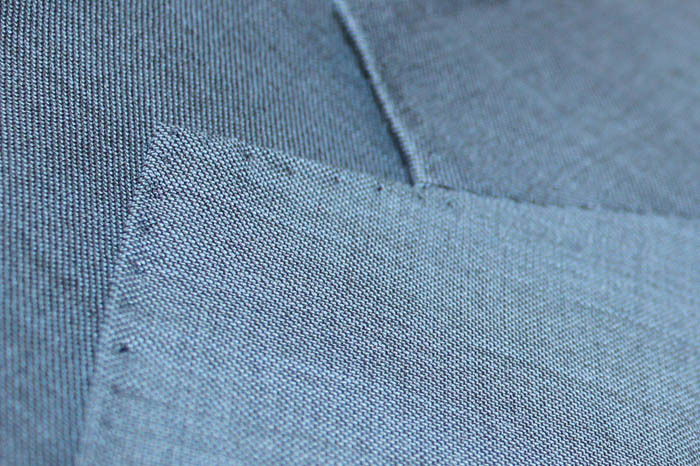 Every Bello Verde suit comes with hand-picked stitching on all seams. 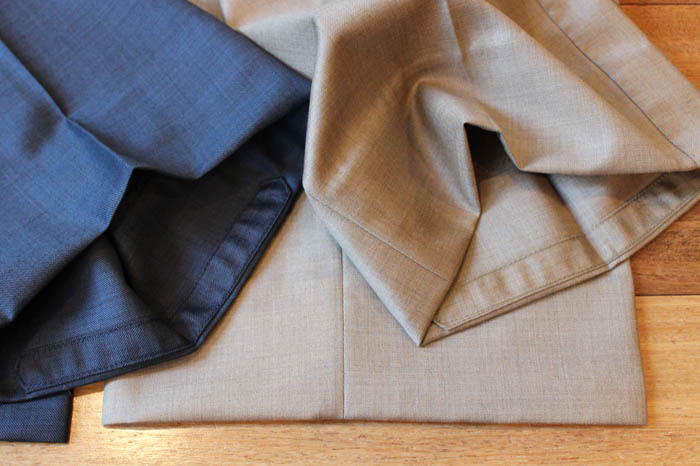 The breast-pocket lining of each Bello Verde suit jacket can be pulled out to reveal a built-in pocket square made from the same material lining the jacket. 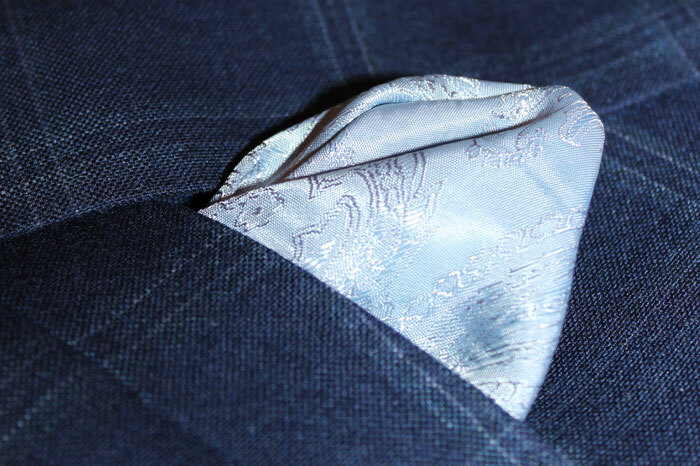 The pocket square can be pulled out or left inside the pocket for a different look on the same garment. Every Bello Verde jacket is made with a sweat shields under each arm which protect the suit from perspiration and odor. These sweat shields help your garment on an area of the jacket which gets the most abuse from wear. 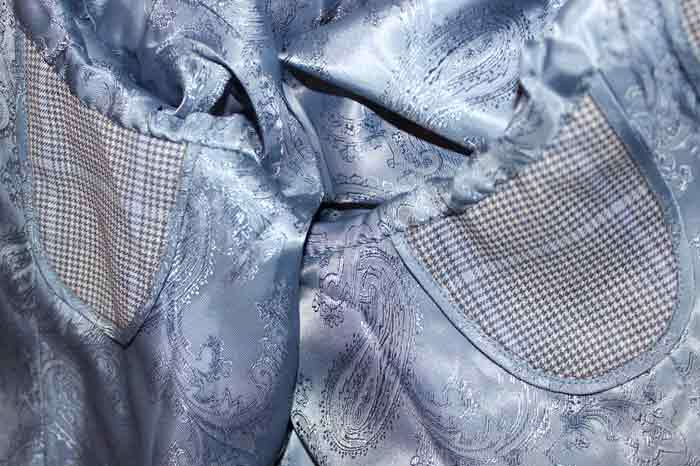 Custom linings inside your jacket give an extra touch of customization to your garment. 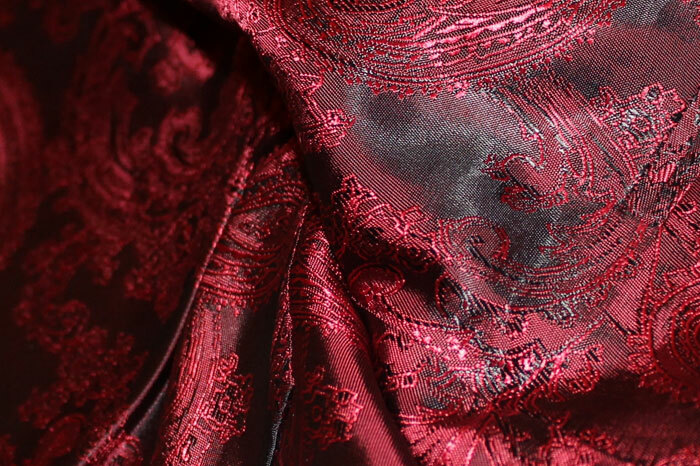 At Bello Verde, we carry a wide selection of silk jacket linings including every solid color you can think of and many paisley patterns. For the less reserved, Bello Verde also offers linings with intense patterns and colors that make a bold statement in your jacket. 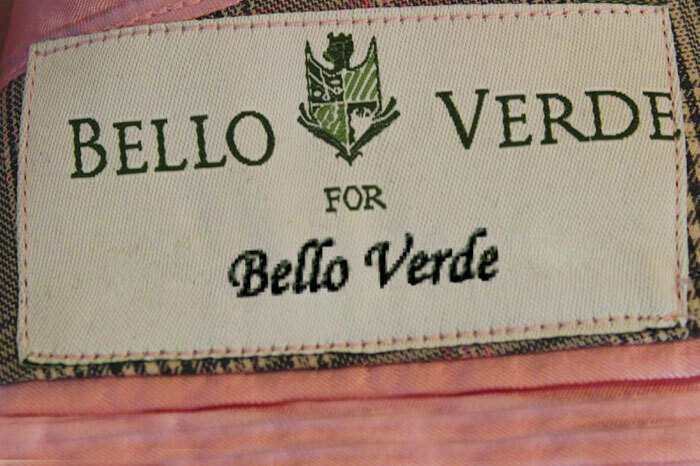 When you take the time to create something as personal as your Bello Verde suit, you’ll want your name on it. 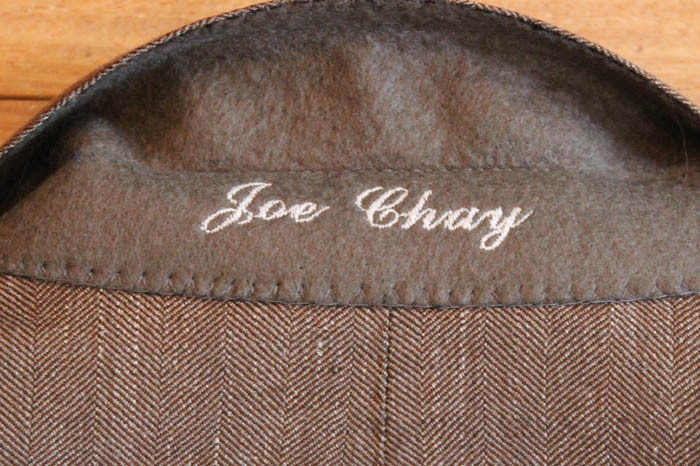 So we embroider your name on the labels that adorn the inside of your suit jacket and the inner waistband of your pants. Each pair of Bello Verde pants are constructed with a thick and stiff waistband that provides for exceptional wear. The waistband of each Bello Verde pant also has rubberized strip that runs alongside the inside of the waistband that is designed to keep your shirt tucked inside your pants all day long. 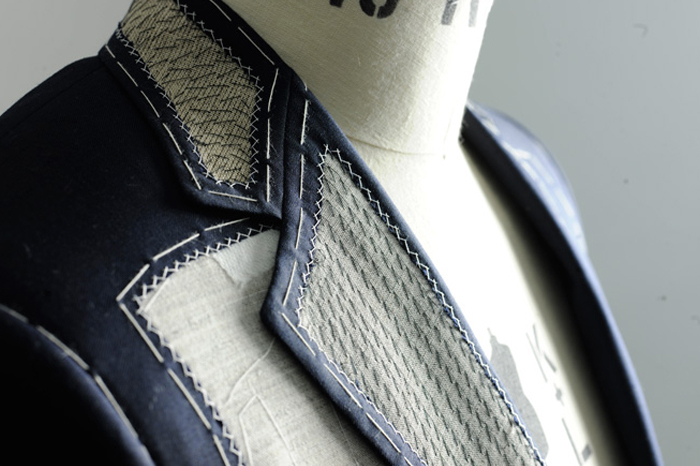 Working buttonholes are a feature on most custom tailored jackets. Originally, surgeon’s cuffs” were designed on military uniforms and allowed soldiers to perform operations without removing their jackets. Today working buttonholes serve as a style feature favored by many. At Bello Verde, every jacket we made comes with working buttonholes. A Bello Verde garament is meant to last. One of the most common wear-and-tear areas on your pants is the back of the pants cuff. This part of the pant is subject to the most wear as it rubs against your shoe, so we guard the hem with an extra strip of material sewn on the inside back side of the cuff.